Keen. Targhee II Mid Wide. Shitake Brindle. 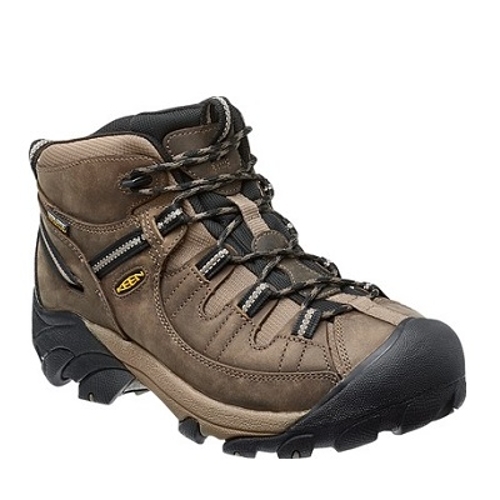 1012126.KEEN s award winning Targhee II Mid is now available in a wide fit men s hiking boot. This ultimate wide waterpoof leather hiking boot features our KEEN.Dry waterproof breathable membrane. Multi-directional lugs on the non-marking outsole grip every which way taking on anything underfoot from rugged landscape to rolling hills. Built on a wide last.